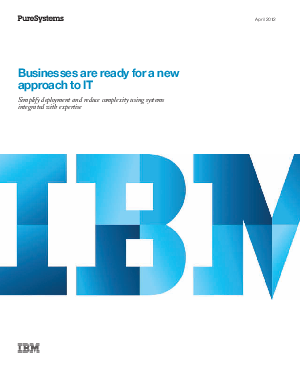 The accelerated pace of change in today’s world is rivaled by the pace of change at IBM. IBM expertise in delivering solutions—complex solutions throughout infrastructure, middleware and applications—has helped the planet become smarter. And as IT moves to the strategic center of business, leaders at organizations of all sizes turn to IBM to help them extract more real value from their data, business processes and other key investments. As information technology moves to the strategic center of business, organizations can no longer ignore the inefficiencies in today’s approach to computing.